OPTISLEEP is a custom-designed oral appliance prescribed by your dentist to treat snoring or mild to moderate obstructive sleep apnea. It is also recommended for patients with more severe OSA who are unable or unwilling to tolerate CPAP therapy and/or surgery. The two-piece appliance is designed to prevent apneas by keeping the upper airway open. The lower jaw is moved forward comfortably to relax the tissue at the back of the throat and prevent the base of the tongue from collapsing and blocking the airway. Durable: The durable material and connector design make OPTISLEEP especially stable. Non-limiting movement: OPTISLEEP allows patients open and close their mouth naturally. Comfortable: The extremely slim design makes wearing the appliance especially comfortable. Superior quality: OPTISLEEP is a Class II medical device, manufactured using highest quality materials and 510(k) cleared. Custom-designed: The digital design of OPTISLEEP eliminates the need for unpleasant impressions and ensures a high level of accuracy. 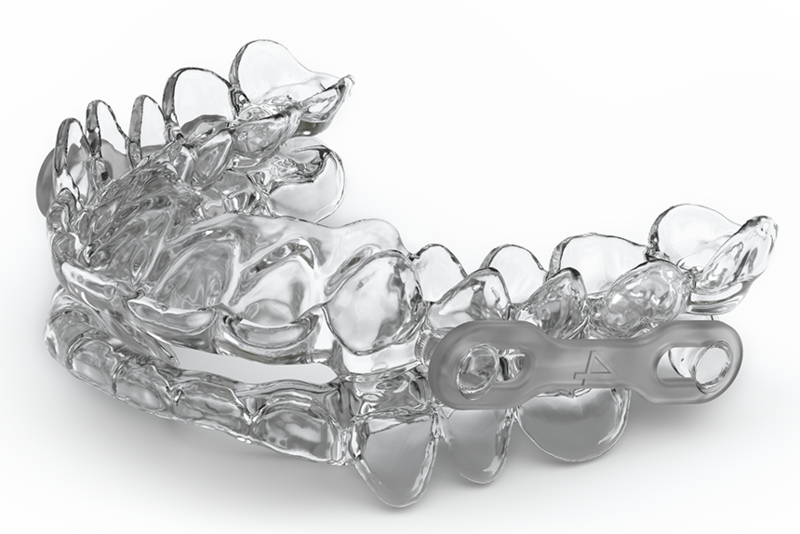 Optimal flexibility: OPTISLEEP comes with exchangeable connectors, allowing wide-range movement of the lower jaw. 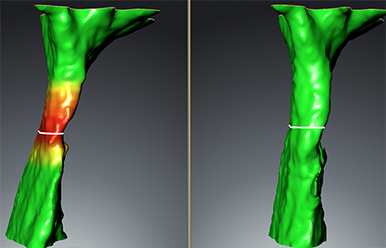 By using digital 3D software, your doctor can visualize any problems with your airway and how OPTISLEEP may help. The completely digital process ensures a high level of accuracy and eliminates the need for unpleasant impressions. The thin design of OPTISLEEP makes for a comfortable feel. The 2-piece appliance enables you to open your mouth naturally. Find out how to care for and clean your OPTISLEEP therapeutic appliance. Do you think you may suffer from obstructive sleep apnea? Find out with a simple test. Are you ready to begin your sleep apnea treatment? Use our Dental Office Locator to find an OPTISLEEP provider near you.